Once your form is completed, we will contact you to gain access to your Facebook page as an admin to start posting on your behalf. Our posters are in house and use the 80/20 methodology in posting interesting, trending and engaging posts for your site and brand. All posts can be cross polinated to show on your Twitter account. Daily Facebook Posting Service: Your first 30 days are free with the "Daily Facebook Posting Service" Like what we do? Great after the first 30 days we will charge you $195 a month moving forward. Want to cancel service for any reason?, cancel at anytime via PayPal. No partial refunds. The Complete Facebook Network Development Package: If you opt for The complete social networking development package you will begin seeing new verified likes of real users to your page within 72 hours from the time of your order. 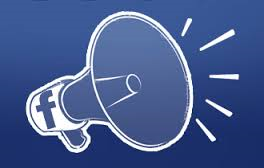 All posting services begin immediatly after we gain admin access to your Facebook page. A marketing team member will contact you to discuss your target audience. Want to cancel service for any reason?, cancel at anytime via PayPal. No partial refunds.